For someone smitten by wanderlust, travel does not just mean taking vacations or embarking on pre-planned trips; it also means visiting new places with an open schedule. During every trip, a traveler is bound to get captivated by the experience and develop a churning desire for more destinations - to experience varied cultures, taste different cuisines and to meet new people. How far is Waco from Dallas? Waco & Dallas, two noteworthy cities in the state of Texas, are 90 miles apart. The Waco Regional Airport (ACT) located at 7909 Karl May Drive, Waco, is a key airport for travelers journeying to and from Central Texas. The airport is frequented by athletic teams going to and from the Baylor University campus located in Waco City. The airport is 20-25 minutes’ drive from Downtown Waco and operates Monday to Sunday between 3:30 a.m. to 12:00 midnight. The free parking service is located at the Madison Cooper Terminal building of the airport. The airport's food & beverage facility is attended by Aerodrome Cafe and Gift shop which is open on all days of the week except Saturdays. 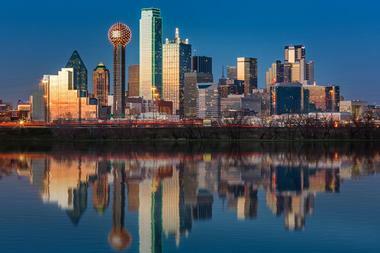 American Airlines offers daily nonstop flights from Waco (ACT) to Dallas (DFW). The journey time is 55 minutes and the flight tickets for a one-way trip start from $165. At the destination is the Dallas/Fort Worth International Airport (DFW) located at International Pkwy, DFW Airport, TX 75261, the main international airport that serves the Dallas-Fort Worth area of Texas. It is the busiest airport in the State of Texas in terms of both passenger traffic and aircraft movement. The DFW airport is a much sophisticated airport that has its own post office zip code, USPS city designation, police station, fire protection & emergency medical services. Other than the basic airport amenities like information center and accessible restrooms, the airport offers paid parking facility, designated pet relief areas, free Wi-Fi, kid's play area, free art gallery tour, healthy dining options and airport walking path to get some exercise between flights. Amtrak is a passenger railroad provider that runs railway from Waco to Dallas (DAL). The nearest Amtrak station to Waco is the McGregor (MCG) station which is located 16 miles east of Waco City. Located at 1 Amtrak Boulevard, McGregor, TX 76657, this Amtrak station is an only platform station that offers just a payphone facility and does not provide any other amenities including ticketing & baggage; a caretaker opens and closes the station waiting room present for passengers. McGregor is served by two daily trains that pass via Dallas. 22 Texas Eagle & 422 Texas Eagle are the two Amtrak trains that connect MCG and DAL. These two trains from MCG offer carry-on baggage (no checked baggage), lounge, pantry car and onboard wheelchair ramp. A single journey from MCG to DAL costs from $13 to $209 depending on the seat selection. These trains offer a wide range of ticketing option - Saver, Value, Flexible and premium and the passengers get to choose from Reserved Coach Seat, Superliner Roomette, Superliner Accessible Bedroom, Family Bedroom and Superliner Bedroom that offers top-notch facilities from magnificent big picture window views to attached shower amenities depending on the choice of ticket. The journey time from MCG to DAL takes 3.29 hours. On the other hand, the DAL Amtrak station is located at 400 South Houston Street, Union Station, Dallas, TX 75202. The station is an enclosed waiting area that is accessible and offers facilities like a ticket office, Quik-Trak kiosk, restrooms, elevator and payphone. There are two bus transport companies that run buses from Waco to Dallas - Greyhound and Turimex. Greyhound Lines, Inc. or commonly known as Greyhound is an intercity bus service provider that connects most of North America & Canada. This largest motorcoach provider company is headquartered at Dallas, Texas. The Waco Greyhound Station is located at 301 S 8th St and the Dallas Greyhound Bus Station is at 205 S Lamar St. The bus offers onboard facilities like free Wi-Fi, toilet, air conditioning and power outlets. Greyhound's fleets of bus are popular for having fewer rows of seats than the stipulated industry standard and this gives passengers additional legroom when compared to the other buses. The journey from Waco to Dallas via Greyhound takes 1.40 hours and a single journey ticket for an adult starts from $21. Turimex International is a part of Grupo Senda, a Mexican company which is also one the largest transportation companies in Mexico and USA. The company offers a wide range of travel solutions for both domestic and international passengers. The company also specializes in parcel & courier services and advertisement solutions. The Waco bus station for Turimex is located at Agencia Taquerias Arandas Bus Stop, 1500 S 18th St and the Dallas Turimex station is located at Senda Oficinas de Dallas, 501 E Jefferson Blvd. The journey from Waco to Dallas is 1.30 hours and a single journey tickets start from $17.70. The onboard facilities include toilet, air conditioning, power outlets and TV. Interstate 35 is a prime north-south highway for Waco and it directly connects the city with Dallas via I-35E. However, Google has offered three routes for a drive from Waco to Dallas; via I-35 N and I-35E N (94.8 mi) - 1.24 hours, via I-35 N (99.9 mi) - 1.36 hours and via I-35 N, I-35E N and I-45 N (110.3 mi) - 1.44 hours. There is no match for a self-driven road journey as you get to experience inside and out of the entire trip. Renting a vehicle would be the best option if you are planning for a one-way trip or if you have more time to spend at the destination. Online platforms let you choose from a variety of cars from economy to SUV starting $51.99 per day for a trip from Waco to Dallas. Uber, is an online transportation network company headquartered in San Francisco, California. This American company derives its name from a German word meaning "above", "across" or "over". Uber lets passengers book their ride via a mobile app that tracks down the nearest available driver. Uber’s low cost series of taxis, uberX operate cab service from Waco to Dallas. The estimated taxi fare for this route of 94.8 miles varies from $101 to $135 and the journey time is 1.26 hours. Uber partners with the locals of a city to provide passengers with the best taxi experience that is both well-informed and fast. The company offers a wide range of taxi types from economy to premium cars and lets passenger make cashless payments. The route suggested by Google to cover the trail from Waco to Dallas on a bike is via US-77 N (97.9 mi) and this journey takes a total of 8.14 hours. 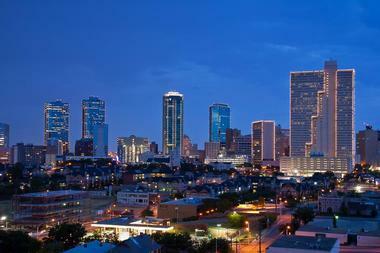 Often referred to as the Big D; Dallas is a major metropolitan and the largest urban center of Texas. 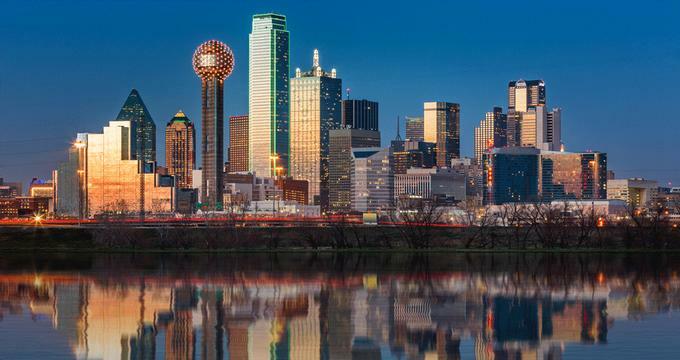 Situated in North Texas, Dallas is the third main city that houses a huge number of fortune 500 companies in the US next only to New York City and Houston. The City is noted for its modern & post-modern architecture and Gothic Revival architecture samples like the Kirby Building. Dallas is home to buildings featuring varied architectural flairs from Victorian to Neoclassical styles. Tourists interested in art get to enjoy art at the Dallas Museum of Art, the Nasher Sculpture Center and the Crow Collection of Asian Art. The city’s ample urban park space offers numerable opportunity for outdoor activities like biking, swimming, tennis and golf. 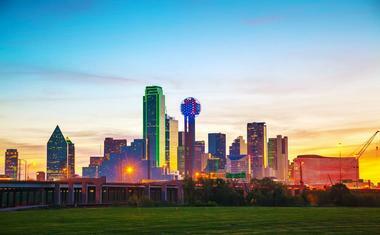 This insightful list of best attractions in Dallas helps you make the most of your trip to Dallas. Downtown Waco is comparatively small when compared to the other Texas cities like Houston and Dallas making it relatively easier to explore the city without much travel. Local transportation in Waco is provided by the Waco Transit System that operates bus service Monday to Saturday and connects most parts of the city. The City is home to outstanding museums, magnificent historical sites and activity-filled indoor & outdoor locations. 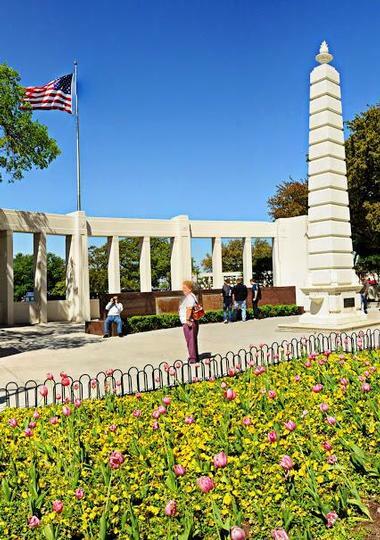 The location of Greater Waco and the neighboring locations enjoy pleasant weather which makes it a perfect place for hike-and-bike trails, sporting and recreational events.